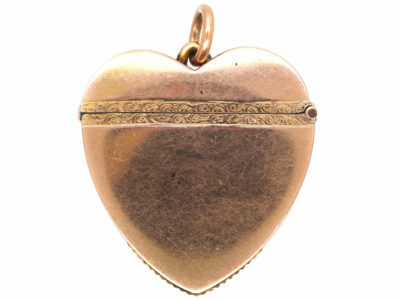 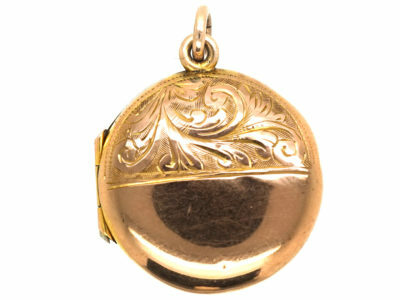 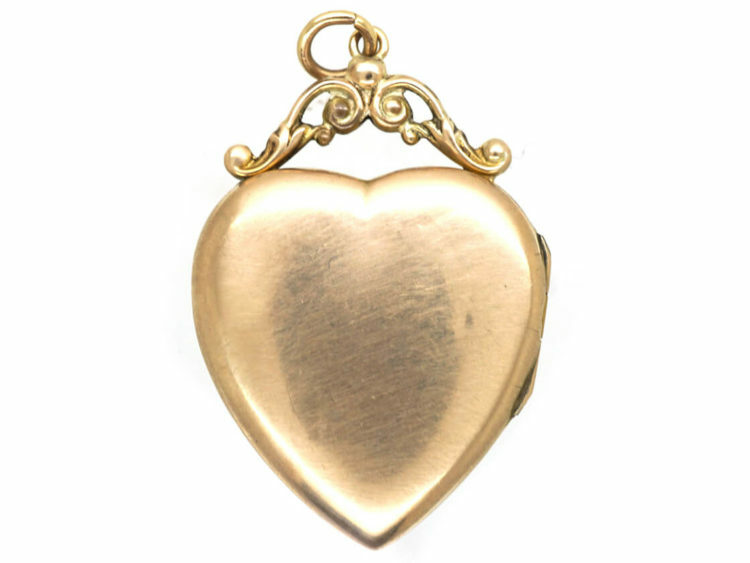 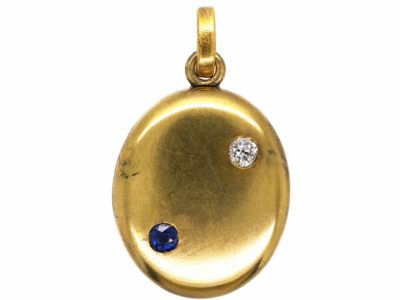 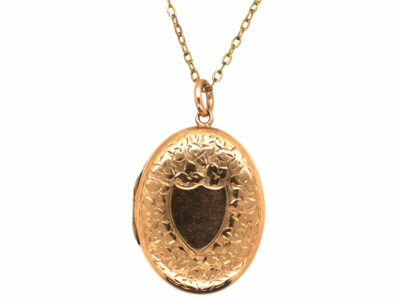 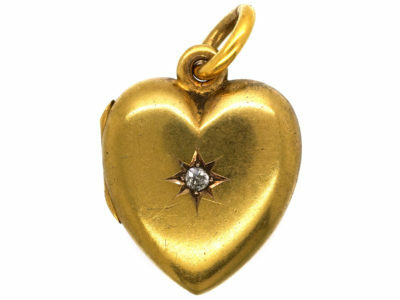 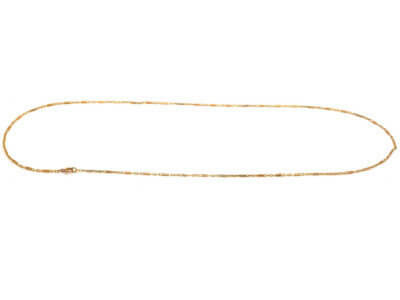 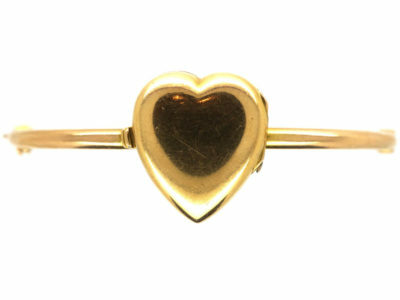 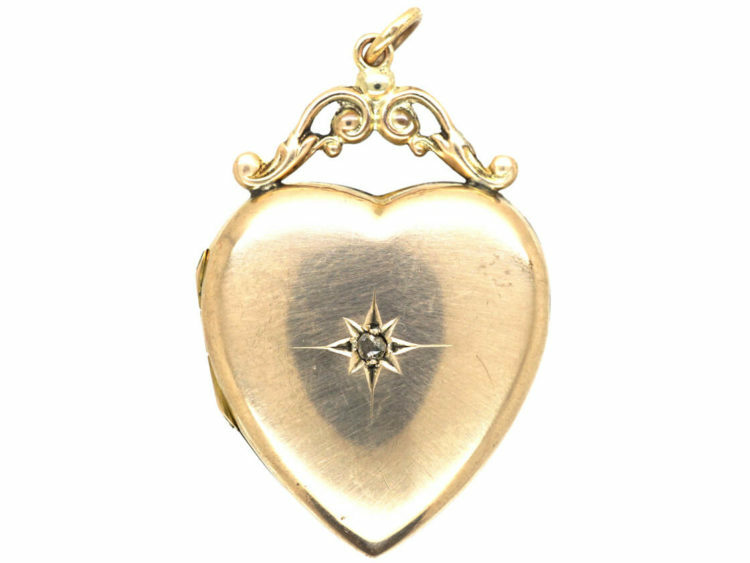 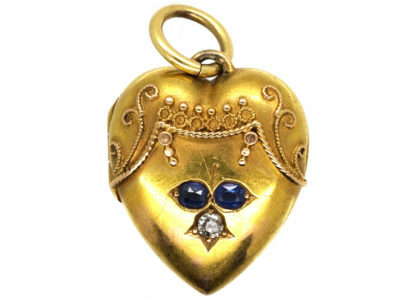 This is quite a large heart shoped 9ct gold locket with a decorative top that was made circa 1900-1910. 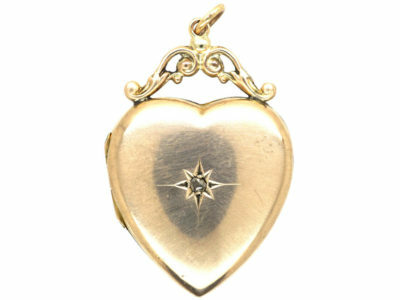 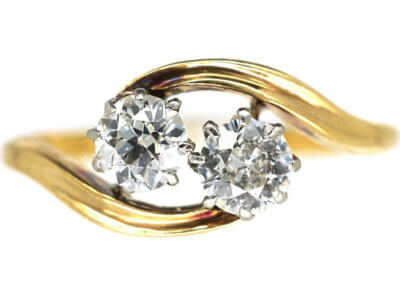 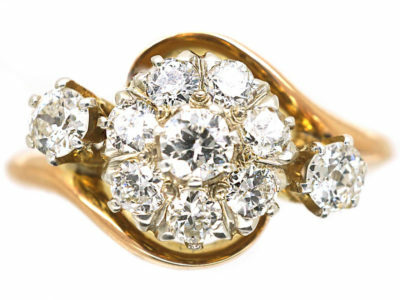 It has been set with a rose diamond representing “Eternal love”. 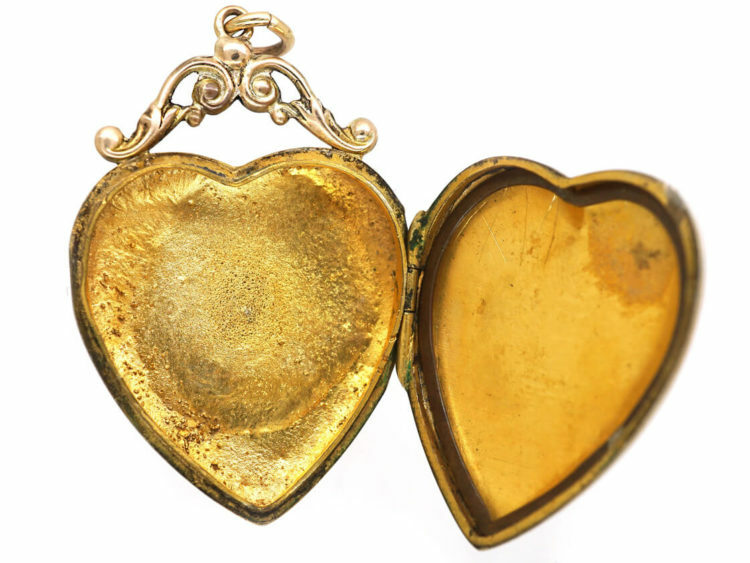 Inside is a compartment for a photograph. 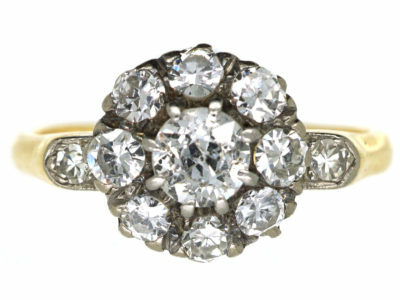 It is very pretty and makes a statement when worn.